is Coming this Christmas Season!!! In honor of the Hallmark Channel's 10th Anniversary of Countdown to Christmas - Hallmark is celebrating Christmas All Year Long! Watch a Christmas Movie every Thursday Night on Hallmark Movies & Mysteries! Watch a Christmas Movie every Friday Night on the Hallmark Channel! To see which Christmas Movies are playing this month - visit the TV Movie Schedule! This current page you are visiting - will be updated this upcoming Christmas Season with ALL NEW Hallmark Movie Premieres, Lifetime, and MORE!!! Thank you for stopping by today to visit! Be sure to sign up for e-mail alerts (near top right) for the latest Christmas TV Movie news! Coming this upcoming Holiday Season! Please Note: I will be updating here as premiere dates are given for each new Christmas TV movie and more! All times listed below are in Eastern Standard Time. Be sure to check back for additions, updates, and any possible changes along the way. It is my goal to only share family-friendly movies; therefore, please know I have not previewed all the new movies listed below. Thank you for visiting *It's a Wonderful Movie*. I hope you enjoy the Christmas TV Schedule today and throughout the Holiday Season! *TIMES below are subject to change, please check back for updates! *The October and November 2017 Christmas TV Schedule has been archived - HERE. *The October, November, December 2016 Christmas TV Schedule has been archived - HERE. You will find on the Christmas TV Schedule above... Christmas Movie Premieres from... the Hallmark Channel, Hallmark Movies & Mysteries (HMM), UP, INSP, Lifetime, ION, and Freeform! Plus, I will be posting all the Christmas Movies, Specials, Parades, Cartoons, etc... from your Local TV stations: ABC, NBC, CBS, PBS, etc... and TCM, AMC, and More!!! *Please Note: Both Hallmark networks do update and change their schedules often throughout the Christmas Season. I will do my best to update along the way. If you catch any changes, please e-mail me at: itsawonderfulchristmas@yahoo.com and I will update as soon as possible! *PRINT TIP : Click File - Print Preview and only choose to PRINT the Pages you want! In the box next to Pages - simply fill in the number of the pages you need to Print. *SEARCH TIP : After this page is completely loaded, click Edit - Find on this page. 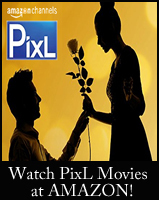 Type in the Search area the Movie title you are seeking (must be spelled correctly!). Then, in the Pop Up Box / Search bar, Click Next - and find it quickly on this page. *Please Do NOT COPY this list to your web-site or blog. It takes a long time to put all of this programming together. If you wish to share this site with others, that would be great! In doing so, please provide a link to my site: "It's a Wonderful Movie", with this web address: http://itsawonderfulmovie.blogspot.com/ -Thank you!!! *I appreciate all of your Support and Suggestions in creating the "Christmas TV Schedule" throughout the Christmas Season! If you hear any news on a new Christmas Movie or see a schedule released from any network, please e-mail me, and let me know! Thank you to all my faithful followers! I was hoping we would see some of the line up today. thank you! this is so exciting! Wow, Net....so much work!! I know I speak for everyone how much we appreciate your efforts to make life easier for all of "us" Christmas buffs!! I'm taking notes to make sure I don't miss any of my favorites and checking your DVD list daily for any new releases. Let's hope more will be available soon. Bless you!! YEA!!! I look forward to this post every year and always watch for the updated schedule, too. You're the best and made my day!!! Thanks!! Thank you so much for the new Christmas movie schedule, can't wait to see the new movies, and rewatch the older ones. Maybe, they will put Candace's on ABC then in replacement of the other? It is on DVD...I bought it at Amazon! Thanks so much for posting the Christmas schedule! I look forward to it every year! Thank you sooo very much for all our time and effort in making this site for us Christmas movie lovers!!! Thank you!!! Thank you for all the effort you do to keep us up to date on the wonderful Christmas Schedule. I have two small problems and that being that "Love At the Thanksgiving Day parade is on at 4:00 A.M. and Finding Christmas is on at 12:00 (that I can handle) but never listed again. 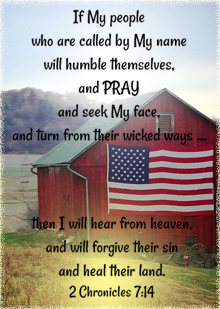 Could you intercede and get them on at a decent hour? Any further word on more DVD's for sale? Thanks a million for all your help and I read you faithfully. Thank-you for this! THIS SITE has become one of my Christmas traditions! Is Christmas in the City ever going to be shown or put on DVD. I watched it on Lifetime last year with my grandson and he has asked several times if it will come back on. Thank you for you assistance. I would love to see the movie " Christmas at Cadillac Jack's"
Wow! Thank you! How in the world were you able to find out the Christmas schedule so far in advance! So glad I stumbled upon this! I don't see Eloise at Christmastime though and was wondering if any channel will be playing it. I wanted to record it for my Nieces so I could tailor it's contents for them. Thank you! I love having this list to refer to! The only thing better would be links to pin on pinterest, and share on Facebook so I c an keep it handy! Love this site!!! I set my DVR based on your schedule. It is wonderful! Thanks so much for taking the time to put together this list! Your wonderful site has become a part of our Christmas tradition. Thank you for all that you do to enhance our most wonderful time of the year. Hallmark Movies & Mysteries has Holiday Inn (Bing Crosby, Fred Astaire) listed for Thursday, November 6 at 8:30 p.m. Thanks so much for this webpage and all your info...look forward to seeing it every year! Snowman & Frosty Returns comes on? Thank you for loving my site!!! As for your questions... There are just a few movies listed in December - because not all networks have released their schedules. Plus, I do this site alone, no Team, just me... and I'm updating info as soon as I possibly can! As for the time... I like it that way in case there is something someone would like to record at night. Last year, I did the 12 AM - 12 AM way, but I just like this better. Next year I may go back to that. We'll see! Thank you, again, for loving the site! Enjoy! Thank you - your answers took care of my questions. Today, Nov. 23rd TCM is airing Plymouth Adventure at 8 PM. I always think of this as a holiday movie, too. Maybe you can add it next year for those who want a Thanksgiving movie, too. Thanks! I will try to remember that for next year. Thank you! PS, I like the schedule beginning at 6 AM and continuing on through the day, evening and late night. For some reason this is much easier for me to navigate the schedule. Thanks for all you do. Thank you so much for your work on getting this schedule together every year. It makes it so much easier for all of us just to go right to this site instead of searching for the shows and movies. I feel this list is so complete that we will never miss any of our classic Christmas shows! It Happened on Fifth Avenue and The Bishop's Wife are not airing on 4 Dec. The guide on DirecTV says Christmas in Connecticut. Thanks so much, Susan. It looks like Hallmark has rearranged their schedule a bit. I took the listings straight from the HMM web-site, but sometimes they unexpectedly change movies around. Thank you for bringing this to my attention. Merry Christmas! I don't know how you do it!! Thanks for all you do and if I do see a change I like to help you out. Keep it up, we count on you 24/7/365 and Really Appreciate You!! One of my all-time favorite movies is "The Christmas Wish" with Debbie Reynolds. I am unable to find it on the list of Christmas movies on TV. Please add this movie to your list for 2014!! It was originally scheduled for 22 December however, it later was deleted. This movie was terrible . Just couldn't get into it ! Will the Bishop's Wife air at all again before Christmas day? I don't see it on TCM. Will the Arnold Schwarzenegger "Jingle All the Way" be airing this year? I have been a faithful follower for many years. Thank you so much for all you do. I know it's a ton of work, but truly appreciated and loved. I found your website a few years ago and have been a faithful follower ever since. Years ago I used to put a similar list together (paper form) for my elderly grandfather and I know that this is quite a task. Thank you for all of your hard work....it is truly appreciated! I've been watching the second and then will watch the third Garage Sale Mystery movies.and I must admit I'm very disappointed. Not in the story lines, but in the actors/actresses.they aren't staying the same and if you are going to make a movie that you know you are planning on continuing, then you should make sure the actors and actresses you use are going to use are available for as many movies as you are planning. Changing husbands and daughters are not right. It makes it difficult to follow the who is who. Secondly, I think Hallmark Movies are Mysteries is trying to be Lifetime Movies. I hope they don't start going to such darkness as Lifetime Movies are. Oh dear lord, not "Home Alone" again -- and on the first night, no less. Seriously, that can be seen on so many channels all throughout the year. It is not unique. This means Hallmark will run "Home Alone" ad nauseam again, and take away precious time from showing their own movies -- just like they did in July. If they could devote 10 hours to that movie during a short 10-day event in July, Lord only knows how many hours they will devote to it during a 2-month marathon. I swear, if they pull that nonsense of only showing certain movies once or twice again, I am finally going to write in and complain to them. I have no problem with 2 months of movies. I have no problem with starting the movies on Halloween. I have no issues with all day/all night movies. I have no problem with multiple repeats of the Hallmark movies because the repeats come in handy for ALL of us, whether we realize it or not. What I DO have a problem with is when the actual Hallmark movies don't air, or only air once or twice, while a non-Hallmark movie that can be seen anytime, anywhere takes precedence. Hallmark gets big ratings for doing their Countdown exactly as it is. I don't know why they have to change it and mess with the formula that already works. If anything, they should move "Home Alone" to Movies & Mysteries, where they already air some of the "classics." It was on way too many times in July. It ate up so much time that could have been devoted to actual Hallmark movies. I looked up "Home Alone" on the Hallmark Channel website today (Sat., 9/5) and checked the View All Showtimes tab. Now I realize that things can and often do change as far as showtimes on Hallmark's website (I watched it happen leading up to Christmas in July), but right now they only have "Home Alone" listed twice, and both of those showtimes are on October 31. Other movies (I probably typed in 25 different titles of Christmas movies) have showtimes all through November (nothing is showing for December yet). So... again, although I know that those showtimes on the Hallmark website cannot be trusted to stay as is, I am hopeful that what tvh said in a comment below is what ends up happening -- that perhaps 10/31 might be the last day of the movie rights and Hallmark won't air it past that date. 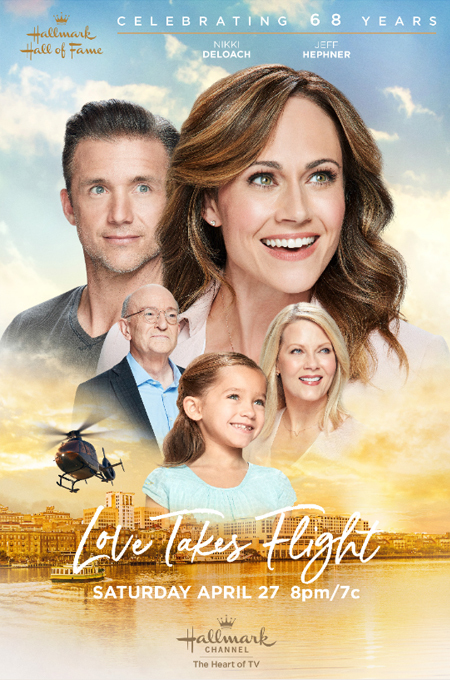 One or two showtimes I can deal with, but beyond that it becomes too disruptive to the schedule of Hallmark movies, and there are way too many of them to air. I hope you're right! It's not currently listed on the Hallmark Channel website as airing beyond 10/31, so you might be on to something. That is such a good point, tvh! As Sherry shared, so far it is not scheduled for November. It will be interesting to see how this plays out. It is, after all, Home Alone's 25th Anniversary! At what time is the movie “Coat of Many Colors” supposed to be released? The reason why I’m asking is because I read an article recently that stated that “Coat of Many Colors” was scheduled to be released at 9 p.m. On this schedule, it says “Coat of Many Colors” will be released at 10 p.m. It is December 10 @ 9. Thank you for letting me know my typo. I've corrected it above. Thank you Net for answering my question! Net -- I wish we could trust the early schedules that are released by Hallmark to stay intact without any changes. Unfortunately, as you know all too well, they are famous for changing schedules. I remember watching the showtimes on the Hallmark Channel website change repeatedly leading up to Christmas in July, with some movies falling off the schedule completely. Today I didn't expect to see any showtimes listed for any movies beyond the end of this month, but to my surprise, when I typed in about 25 or 30 titles of Christmas movies at random on the Hallmark website, I'd say that 97% of the titles I typed in popped up with showtimes throughout November. There were only a few titles that did not pop up at all ("Mr. Miracle" and Eve's Christmas," for example). As usual, some of the titles had many listings (like "A Bride for Christmas"). Others had only 3 showtimes listed for the month of November ("The Christmas Ornament," for example). I certainly don't expect Hallmark to ADD more showtimes for any of their older movies beyond what is showing on their website now... meaning, I don't think they will add anymore showtimes for November, but I expect that they will add some for December. If anything, they will probably cut the number of showtimes back. I am guessing that, at the end of this month and the beginning of next month, if I go back to the Hallmark site and type in the same titles again, I will see a different list of showtimes than what is there now. You are so right, Sherry! These early Hallmark movie dates typically change up a bit before the initial start date begins on Oct. 31st, but even still, it's fun to see what movies most likely will be coming our way! Who knows, though, maybe some of them will stay the same! Let's hope! I'm currently updating the schedule, one movie at a time... with the caution above that they may change! Btw, I also don't see Mr. Miracle or Eve's Christmas listed on Hallmark Channel's Movie page, so far, this year. That's especially interesting for Mr since it's a newer movie. I know -- when I saw that "Mr. Miracle" wasn't listed, I was surprised. Even though I did not like the movie and I won't miss it, it was brand new last year. And it is a Debbie Macomber story. I don't doubt that it will pop up at some point, but I tend to think that it is not going to get a lot of airtime because it was widely panned. A lot of people mentioned not liking it. Another newer movie not scheduled (so far): "One Christmas Eve." When I noticed that "Eve's Christmas" was missing, I figured that it was due to the fact that it is so old now that it is just getting pushed out. Last year I think it may have only been shown once or twice in the entire 2 months, and in the middle of the night at that! But... did you notice that "The Christmas Ornament" is being moved over to Movies & Mysteries??? I knew it!!!! I think I even mentioned something about it moving over to that channel back in July (although it was left out of Christmas in July on both channels), when I was posting as Anonymous. I think I mentioned that the overall tone of "The Christmas Ornament" would fit on HMM. And there it is! When I pull up the title on the Hallmark Channel website and look at the View All Showtimes button, "The Christmas Ornament is supposedly scheduled for 11/19, 11/21 and 11/22 on HMM. Likewise, the other movie that I suspected would end up on Movies & Mysteries -- "Angels & Ornaments" -- is also showing on the schedule for HMM: 11/14, 11/15, 11/17, 11/18, 11/20 and 11/27!!!! HMM is also where "Christmas Magic" is ending up. So is "Christmas With Holly." I, too, was wondering about "One Christmas Eve" - the new HHOF from last year! I personally loved it - from start to finish, but I know there are others who don't like it so much. I hope they plan to air it sometime for those of us - who enjoyed it! It will be interesting to see, in the end, where everything is placed. I'm sure I will be updating many of the times above - many times! - but that's okay... I'm eager and excited just to get an idea of what's to come! I was wondering if there are any new Christmas shows on UP this year. Am I just missing them? I am trying to make my own list (Off of your wonderful list) of just the new ones for this year. But I didn't anything but Hallmark and HMM. Thanks for the help! Yes, Grace!... I have been in contact with UP and they informed me- they are definitely planning a BIG Christmas Movie Event - even BIGGER than last year!!! There slogan is “Everything you Love About Christmas". I have their movies listed on my "New Christmas Movies" list page. This sounds like the list you are putting together. As I'm writing this on Sept. 22, 2015 - there are two movies listed there for UP. In coming days or weeks - I will be (hopefully!) adding more! As of today, those UP movie titles are not included above in the Christmas TV Schedule because a specific air date has not been released, yet... so stay tuned for that & much more! Oh thanks so much! I appreciate all you do! Also... Ion (or is it ION?) probably has several movies in the works. They have ramped up their holiday movie game in the last year or two, just as UP has. Many of the same actors make the rounds between all of the channels, so there will likely be some familiar faces in the Ion movies. Thank you! I just printed this out! Love this!! Thank you, Ruth! Glad you Love it! ... You may want to stop back in and check for updates to your printed list - as I know there will be surely be some changes to come!!! Do you know if Walmart is planning to sell a selection of the movies after they air like they did last year? I absolutely LOVE "The Christmas List", too, Lisa... would love to see it more this year, but since ABCfamily owns it, they typically don't air it anymore or they just play it once very early in the morning. I always look for it every year, as well... so you know if I find it - it will be Here! Love the sweet friendship between Danny and the Perfume Lady!!! What is the Holiday Baggage and I Hope You Dance on HMM? Holiday Baggage is a made-for-TV Christmas movie that first aired on Lifetime Movie Network, a few years back. It centers around the dynamics of a family who has gathered back together after not doing so for many years. The parents were previously separated and of course, the grown children have some deep issues. From my recollection of the film, I would consider it to be PG-13. As for "I Hope You Dance".. At this point, I'm not sure what it is. I have searched for it, but all I seem to find is that beautiful Leann Womack song. Not sure if the movie has anything to do with that, but for now all I know is... it is scheduled to air on HMM - Thursday November 26 at 9pm/8c.! Hope that helps... Enjoy the Countdown to Christmas!!! Thanks! Yeah, I guess that I Hope You Dance isn't a new movie since it wasn't announced with the others, so I can't wait to see what this one is!! I see "Angels and Ornaments" is on HMM. Really liked that movie. Hope they put it on the Hallmark Channel also. Be really nice to see it on dvd, as well as Catch a Christmas Star, Christmas Under Wraps, Farewell Mr. Kringle, Matchmaker Santa, Thanksgiving House and Finding Christmas to mention a few. I didn't see Finding Christmas on the Christmas schedule. Are they not showing it this year? Yes, it would be great to see many more Christmas Moves come to DVD! And that (the crazy showtimes that Net listed above ^^^ for "Finding Christmas") is exactly why I have said before that I think that all of the movies that air on Hallmark during the 2 months should be repeated the same number of times (however many times it would be, whether it's 5 times, 10 times, or beyond), and they should all rotate so that they ALL get a shot at airing in primetime, in the daytime, in the middle of the night, on a weekend, between Christmas and New Year's, etc. I have no problems with the multiple repeats at all (because there are lots of people who have not seen all of the movies, and this gives everyone a chance to see them at times that are convenient for them), but I think the playing field should be leveled a bit so that all of the movies get relatively equal exposure and airtime -- or at least this is what should happen with all of the older (pre-2015) movies, even if the brand new movies have to run a bit more often. There's no sense in running one movie 15 times in 2 months, at almost the same times of day on every occasion, and then running another movie only twice, at odd hours of the morning when it is sure to be overlooked. Think of alllllll of the Uverse customers who are going to be joining the rest of us this year in watching this marathon. Many of them have never seen ANY of the Hallmark Christmas movies. Many of them have not seen anything past 2010 or so. If certain movies (like "Finding Christmas") are relegated to 'in the middle of the night status' only, they will be overlooked by many, whereas the new Uverse viewers will probably get to see "Meet the Santas" a dozen times because it always seems to air around the same time of day, when people are home! Lol. I still haven't seen "Eve's Christmas" from beginning to end because it only ran once or twice last year, and always at some bizarre hour when I could barely keep my eyes open and had no more room on the DVR to record it! The playing field should be leveled so that all of the pre-2015 movies have somewhat equal exposure. I would love for Hallmark to try that experiment for one year and see what happens -- if the ratings drop, if the ratings climb, if people complain more or less, etc. They could still use the exact same selection of movies that they have, and still debut many new movies -- they would only need to blend the schedule a bit better and mix up the showtimes for each movie a bit better, i.e., arrange for a different movie to air at 6 p.m. every day instead of the same one 3 days in a row or whatever. One other thing for them to do that would be a good idea is to copy what they did a couple of years ago. If they want to keep certain movies limited to the Movies & Mysteries Channel ("The Christmas Card," "A Christmas Wish," "November Christmas," etc. ), that's fine, BUT it would be great if they could devote one week of the Countdown to Christmas to airing those movies. Just run them all once or twice on the regular Hallmark Channel first -- for a week at the very beginning of the Countdown, as they did in 2013 -- and THEN move them all over to HMM for the rest of the year. That way, it would give everyone who does not have HMM a couple of chances to see the movies on the regular Hallmark Channel AND it would bring more viewers over to HMM when the movies moved over there. I think it would be a win/win situation. Grumpy Cat's Worst Christmas Ever? I saw that last year on Lifetime and really enjoyed it. For a while on the Hallmark Channel website, there were a few November showtimes listed for "The Christmas Ornament." Now the website is down to only 2. Seriously? Two showings of a popular movie like "The Christmas Ornament" for the entire month of November, while other movies are listed 5, 7 and 8 times? I always see people mention "The Christmas Ornament" (on Hallmark's Facebook pages) as being a favorite. Rarely do I ever see anyone mention "Meet the Santas" as being a favorite, and it is currently listed 8 times on Hallmark's website -- for October 31st and November alone (not even counting however often it airs in December). You must admit that the way they are treating "The Christmas Ornament" -- a movie that usually gets good reviews -- in comparison to the other movies is a bit strange and curious. I can't figure out what Hallmark is doing with that movie and why they are reducing its visibility so much. First, they excluded "The Christmas Ornament" from the July line-up on BOTH Hallmark channels, which was odd. And now... only twice in a full month (maybe we will get another couple of showtimes in December)? Even "Once Upon a Christmas" has 3 listed showtimes for November! One bit of news is that "Eve's Christmas" finally made it on to the schedule -- 2 showtimes listed so far, just like "The Christmas Ornament"! Hallmark just posted the schedule for the new movies on Facebook, and they revised their Countdown sneak preview page on their website. "Dashing Through the Snow" is missing from the list now (for both Hallmark channels), and Alicia Witt's movie now has a totally new title (which, not so coincidentally, is the name of one of her songs!) -- "I'm Not Ready for Christmas." So glad to see Hallmark is playing "Battle of the Bulbs" after not playing it for two or three years! Thanks for posting the list!!! I just wanted to express my gratitude for this site. I'm obsessed with Christmas and Christmas movies and have been using this place as my main resource for years. Thanks for doing all of this! Does anyone know if you can purchase the 2014 Holiday Yule Log featuring Happy the Cat on DVD? Do you know if any network plans on airing Smokey Mountain Christmas this year. We looked for it last year and could not find it. We love this movie. I was looking thru the TV schedule on Dish Network this morning and it looks like the Christmas movies are starting on October 30th. The Christmas Secret is on HMM at 8pm Central and A boyfriend for Christmas is on at 9pm central I believe. I do not know if you saw this but on Oct 30th, A Boyfriend For Christmas comes on at 10pm on Hallmark. Also, A Christmas Secret comes on at 9pm on Hallmark Movies and Mysteries that same night. (At least on my tv guide on my dvr says that). You and Uncle Ralph are right!!! Great Catch! At this time the Hallmark web-sites are reporting different air times than other TV guide sources... so, I will have to check into this... but they are showing in all guides A Boyfriend for Christmas, The Christmas Secret, etc... on Friday!!! Do you know of another time where Family for Christmas will show again? My dvr grid doesn't show it for October 31 like this schedule does.I missed it in July. Thanks! According to Hallmark's site - it says it will air December 13th at 8PM on the Hallmark Channel. Hey Net, when did you post the complete Christmas schedule?!?! I didn't even know it was posted until today, and I had been waiting for you to do so. Has it been up for a while now??? I can't wait for the 31st! I love all the Christmas movies but especially look forward to the new ones every year. Not sure what I'll do on the few days were there are 3 new movies on at the same time! Thanks for the handy list you have here. Just a small request for this awesome site...can you please delete the past days schedules so we don't have to scroll down so far to get to the current date...thank you...and you do a GREAT job on this site!!!!!!!!!! I agree. Love the site but hate scrolling down to get to current date. I just noticed that "Farewell, Mr. Kringle" (one of my favorites) is on HMM this year, instead of on the Hallmark Channel. The last time I checked it on the Hallmark Channel website it was still listed as part of the Hallmark Channel programming. Now it's listed as part of HMM. That means that "Farewell, Mr. Kringle" joins "The Christmas Ornament," "Angels and Ornaments," "Christmas With Holly," "Mr. Miracle" and "Christmas Magic" as movies that are moving over to HMM this year. Also, supposedly "The Middle," "The Golden Girls" and "I Love Lucy" are returning on January 4th (Monday), which has me wondering if Hallmark is going to extend the Christmas movies through the weekend (1/2 and 1/3). This past January they stopped the movies after New Year's Day, but seeing that those series are not returning until January 4th it means that something will have to air over the weekend in place of the regular series. Perhaps they will debut "The Ultimate Legacy" on the night of Sunday, January 3rd, and run the Christmas movies all day on January 2nd and 3rd. I have been working on a schedule of my own for awhile and this is a HUGE undertaking but a word of caution: The Central Time Zone schedule is VERY different....I have no idea why but I looked on Hallmark Channel line up and the HMM channel schedule both. I can't imagine why they would do that- I was hoping to use your schedule instead of building my own (why reinvent the wheel, right??!!) Awesome job though!!! Thank you so much for this! My daughter did background work in 3 new Christmas movies out this December. Does anyone know how to stream the Hallmark Channel in Canada? Net, just wanted to let your fellow bog visitors know, that if any of them have Comcast On Demand, that they are airing "Christmas Every Day" (Whoo-hoo, so happy to find it this morning) Free for viewing. It expires on December 31st. Holiday Engagement is also Free for viewing on, On Demand. Sadly, no Christmas List is on, On Demand, but I'm going to keep checking. 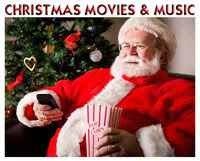 I would also recommend to check their On Demand selection, I have seen some Christmas Family movies listed on my mine. I hope this news helps out. Love getting on here every year to see the Christmas line up :D Some of my favorites not on here others may want to know about....Jingle all the way and Jingle and Bells Christmas star Nov. 10, 2:00pm and 3:00pm on Hallmark. A Muppet Christmas Carol Nov. 21, 6:00pm and 10:02pm and Nov. 22, at 2:04am, 7:00pm and 11:02pm on Lifetime. Dr. Seuss' How the Grinch Stole Christmas (1966) Nov. 23, 6:30pm and 7:30pm on TBS. Hallmark's schedule on November 10th, but were absolutely shown! I watched them again - so cute!!! Sadly the ONE movie I want to see has not been on for years. " The night they saved Christmas " I think it used to be on ION. Any signs of Charlie Brown Thanksgiving? YES!!! A Charlie Brown Thanksgiving will air on ABC - Tuesday November 24th at 8pm (est)! Hope you can see it then, Ryan! I miss seeing If You Believe on the schedule. It's one of my favorites. Tuesday, Nov. 24th ABC will air "A Charlie Brown Thanksgiving" at 8 P.M. EST followed by "This is America, Charlie Brown: The Mayflower Voyagers"! Appreciate you coming back to share, Ryan. The Charlie Brown Thanksgiving Specials were officially announced just yesterday on ABC! While the first episode "A Charlie Brown Thanksgiving" is lighthearted and fun... The Second episode: "This is America, Charlie Brown: The Mayflower Voyagers" is such a wonderful history lesson of the first a Thanksgiving! Do not see White Christmas on the listing anywhere, is it going to be on this year! My favorite movie! White Christmas is now added to the list above ^ !!!! So far, White Christmas is airing December 10th & 11th on AMC!!! There may or may not be more times added. If there is, however, I will be certain to add it to the list - as it will always be one of my absolute favorites!!! I notice that Some of you schedule has been incorrect starting yesterday as Snow Bride did not come on at 6 PM on Hallmark Channel. My Comcast tv guide says it is on today 11/23 at 4PM but your schedule does not? Yes, thank you... I noticed that last night, too. The schedule comes direct from Hallmark and it looks like they did some changing around just recently - because other online TV guide sources and DirecTV had the wrong movie titles, too! If you or anyone else catches more changes, before I do - please let me know!!! I do my best to keep it updated and accurate and I always appreciate your help!!! There was one Christmas special I saw in the 90's about a boy who moved to Louisiana for Christmas and was frustrated that it wouldn't snow. I was hysterical when he screamed in consternation "Snow"!! "Snow"!!! I think it was called Christmas In Louisiana(or something like that. Anyone know if that'll be on this year? For all of us who love The Bradys, Comcast OnDemand is now airing A Very Brady Christmas for Free to watch...it expires on December 31st. Home Alone 2, Lost In New York will be airing at 8:40 & 11:40 P.M. tomorrow November 28th and Thurs. December 3ed at 12:20 & 3:20 A.M.
thank you for your wonderful site. i would love to see you expand and include some of the nostalgia channels like GET TV, COZI, ME TV, and more. GET TV has been showing some great holiday variety shows from the 1960s and the 1970s. i miss those old christmas specials. how come no one is showing THE HOUSE WITHOUT A CHRISTMAS TREE and the animated A CHRISTMAS CAROL that was shown during the 1970s? keep up the great work! i am definitely in the holiday spirit! ABC has cancelled "I Want A Dog For Christmas, Charlie Brown" in favor of the Democratic Debate bummer! I have'nt seen the Melissa Gilbert movie, "Christmas in My Hometown" in several years. Do any of you know the status of that movie? This movie also goes by "Holiday For Love".. It is out on DVD.. Yes, it does go by two names. "Christmas in my Hometown" first appeared on CBS in 1996. I never knew why they changed the name. I loved the title "Christmas in my Hometown", which also went along with the music in the movie. I think it would be an ideal fit for Hallmark, who sometimes includes a few movies from other networks, from the past. Glad I found this page. I would have missed so many movies without it. Thank you. I wish you would have "A Christmas Carol" on more weekends or evenings instead of early morning weekday hours or in middle of night hours when working people have to sleep. I love watching all versions and could never catch one accept Disney animated one. There are some Christmas shows you show too much of such as Scrooged or Home Alone. Love this page just wish you had more control over how many times they show the same Christmas show. Some are too much others are too few of times. Bring Back The Hub Network. We want the Hub Network back! Sign the Petition to bring back the Hub Network. Please sign!!! We don't want Discovery Family. Hi Net -- Thought I would mention that for those who have Comcast cable and want something to listen to between movies, they are playing Christmas music ("Christmas in July") on their Sounds of the Season music channel. Hello! Great site. Any word on when this year's schedule is to be released?Can't wait! Hi Net, this is the first place i go to for any TV Movie Releases, Schedules or Updates! Thank you for all the hard work you do in putting this whole thing together!!! Thank you thank you thank you! I love this website and I recognize how much work you put into it. Christmas brings me so much joy, as do the movies. Thanks for doing this for everyone! :) God bless you during this coming Christmas season. Hello, can you tell me if The Bridge is going to be shown this year? I know the original plan was that it was in two parts, but it only ran a couple of times and I missed both the first and second parts when it was shown last year. Thank you! Hello, can you tell me if both part 1 and part 2 of The Bridge will be shown this year? I really wanted to see it last year, but I missed it. Thank you! The Bridge, both parts, will air multiple times this holiday season. Yes, The Bridge parts 1 & 2 will both air this Christmas season together on Hallmark Movies & Mysteries. The first airing is on November 3rd, 2016! I hope there are new movies and not the same re-runs. I'm ready for some new ones! They always show new movies, every year -- but that's not going to eliminate the reruns. They aren't showing the reruns for lack of new movies to replace them. They're showing reruns because those movies are either favorites, Hallmark classics or never before seen by new viewers. That's what happens in marathons of any TV series or movie series on any channel -- repeats that people have seen. Yes, it is fun to have a mix of old & new! I love to see the old ones, but it's also great when they space them out, which hopefully is easier to do now that they have accumulated so many wonderful Christmas movies! Do you know if ION plays their new movies more than once? With multiple new premiers on the same day, I can't watch them all! :) I'm hoping they have multiple showings. :) Thanks. Yes, they absolutely do repeat their movies. In years past, however, ION only played their Christmas movies on Saturday and Sunday, so you do have to keep a close eye on them for a repeat - on the weekends, but that is definitely an option! ION may do it different this year, but I haven't heard, yet! Another option that might work is - ION is offered through East Coast and West Coast Channels through DirecTV. Not sure if this is the same for DISH or other cable providers, but if you have both channels, you might be able to catch it at a different time through that way. Hope this information is helpful to you in planning your Christmas movie viewing! I'm not the same anonymous commenter who asked you about ION, but I wanted to tell you I had no idea ION had two stations until you mentioned it, Net! East and west! I found them both which will make catching the later showing of some movies even easier. I'm glad someone asked and I'm even more gratefiul for your answer. Thanks Net for making watching Christmas movies so much easier for all of us Christmas movie nuts and thanks for putting up with us! Angels and Ornaments is such a cute movie! If you click on the Hallmark movies on their web-site or do a search for one of your favorites - then you can get their individual showings! There's a lot of movies - so I'm just sticking to reporting them week by week, for now! And, it's possible some of these air dates may change up, a bit - so I'm always keeping a close look at that, too! You're welcome Net....I'm thinking they're going to move Angel of Christmas to HMM because on Nov. 19th they have another movie starting at 8pm. As you stated they change the schedules quite frequently. I'm so excited that Christmas movie time is just around the corner!! This website is seriously amazing--thanks so much from a long time made-for-tv movie lover! Thank you so very much! Your sweet comment means the world to me! Please be sure to sign up for email alerts and you'll always know when new content is added. Was hoping to see The Nightmare Before Christmas on Hallmark. My 13 year old has never seen it and waiting eagerly to see it. I believe other networks do play this movie. Perhaps Freeform (formerly ABC Family) or Cartoon Network. That's a Disney movie, so Hallmark would never show it. 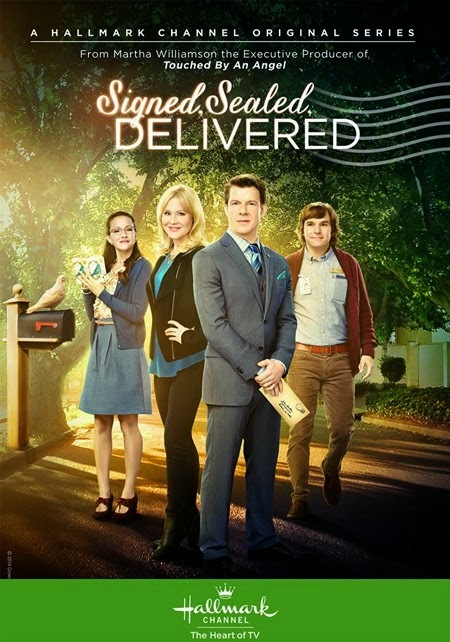 Hallmark mainly sticks to movies made by or for Hallmark, with a few exceptions. Currently, the popular Haunted Mansion Holiday -- which is the regular Haunted Mansion ride with a thorough Nightmare Before Christmas overlay -- is bringing in the crowds at Disneyland. And NBC is very prominent during the current Halloween Time season at Disneyland Resort. "Nightmare Before Christmas" will definitely be shown on Freeform -- probably during the upcoming 13 Nights of Halloween, and, if not then, then during their 25 Days of Christmas -- possibly during both events. NBC also occasionally pops up on other Disney-owned networks, or channels that are authorized to show Disney movies (like, perhaps, Starz). Thank you thank you!! I look forward to your list every year!! Just wondering if you will be listing all the replays for the new movies like you have in the past? I see up until about November 12 you did that but then it stops. I like to know when they will be replayed so I can plan ahead and not miss any movies. Thanks again! Oh my goodness, thank you K! I look forward to it, too, and sharing every detail with all of you! I will be updating all throughout the Christmas Season - you can count on it again this year! I'm always looking for repeat airings, as well... as I try to catch every possible Christmas movie!!! UP has yet to issue a release detailing/confirming their new movie premiere dates, but they continue to populate their Christmas movie schedule here: http://uptv.com/specials/christmas/upcoming/. It looks like they're programming Christmas movies 24-7 each weekend (Friday evening through Sunday), starting November 4. The schedule currently shows through the 14th, with no new movies. My best guess is that they'll premiere weekly starting the weekend of Thanksgiving. Thank you for sharing this news, Sleepy Kitty Paws. I did hear about the Terry Crews show and the Holiday Baking Championship show + Christmas day special! They were both on my list to add! However, I hadn't heard about the Cooking Channel Holiday specials... so, I will add those to the list. I try to keep the focus mainly on TV movies, but if it's not too many, I don't mind sharing them, as well. Absolutely obligation to include, just an "in case you're interested" sort of thing. The Great Christmas Light Fight is also coming back to ABC (date TBA), and the Hollywood Christmas Parade will be on the CW on Dec. 16 (http://thehollywoodchristmasparade.org/wp-content/uploads/2016/09/RELEASE-HCP-2016-OLIVIANEWTONJOHN.pdf) and, of course, the Disney Parks celebration will air on ABC on Christmas Day. Yes, I will be glad to include the Great Christmas Light Fight - as soon as ABC gives us an air date. I imagine they will release that information in a press release with other Holiday programming! And, Yes... the CW will air the 85th Annual Hollywood parade on December 16th, with repeating airings on the Hallmark Channel and Hallmark Movies & Mysteries channel (airdates TBA). And, the 33rd Annual Disney Parade has been added to the schedule above, too!!! hello there. Where did you say you will be posting the lifetime xmas movies please?? When Lifetime does release their official - Lifetime Christmas Movies Press Release - I will create an all new post for it. I don't have a link for that, yet, but if you sign up for email alerts above, you will receive an email when I do post it. Lifetime premieres new Christmas movies every year -- but in a slow year they might only premiere maybe 5 or 6. In a good year they might have 7 or 8 new ones. Last year they had quite a few, and a couple of them were very good! Freeform has at least one new holiday movie coming this year, starring Bailee Madison. Its working title was "Different Folks," but I'm not sure if the title has changed. I've looked but unless I'm stupid I can't find it on the scedule. Is The Holiday Tree aka The Tree That Saved Christmas ever shown? Considering it stars Lacey Chabert it's a strange one in that it has been released on video in another region of the world but you can't play it on either US or European machines. It's shown on the UP network during the holiday season. Thanks for info. Not listed this year - hopefully next! NBC is also supposed to be doing a special on Thanksgiving Eve (Nov 23) about the 90 years of the Macy's parade, according to Futon Critic (http://www.thefutoncritic.com/listings/2016/11/premieres/), though I can't find another link confirming that, though I hope it's accurate, because that sounds interesting. NBC is also doing a Pentatonix special in December, that I'd assume will feature plenty of Christmas music on Dec. 14 and Christmas in Rockefeller Center will air on Nov. 30. And, I already added all the episodes for Cake Wars Christmas + Christmas in Rockefeller is already on the list above, which airs right before Dolly Parton's Christmas of Many Colors: Circle of Love!!! Are there no new Christmas movies from Lifetime? Still waiting to hear - hopefully soon!!! Why isn't "EBBIE" shown anymore. It is a wonderful movie and Susan Lucci is great in it. I have it on VHS but my VCR is not working. Disappointing!! I will be sure to keep a look out for it! No showings of Miracle on 34th this year? Not the original w/Natalie Wood or even the remake w/Lindsey Lohan?? Oh, by the way... the remake of 'Miracle on 34th Street' from 1994 is with Mara Wilson, who also starred in 'Mrs. Doubtfire.' Lindsay Lohan starred in the re-make of 'The Parent Trap' in 1998. Will you be showing Jingle all the way & Jingle & Belle's Christmas Star? I fell in love with the 2 huskies pups and even went to the Hallmark Store and bought the plush toys. I had a copy of the movies but gave it to my granddaughter. But I still would like to see it again. It's so cute. I just adore those sweet little cartoons, too! I don't see either on the schedule, yet, but I will definitely post them if I do see them. I hope those will be included!!! 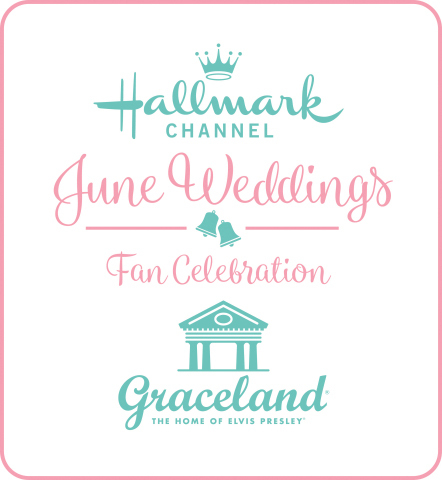 I love Hallmark but I'm stumped as to why they are making their two stations compete for viewership. All the new premiers are on Hallmark at 8, only to have the Hallmark Movies & Mysteries start an hour later at 9. It seems logical, not to mention smart, to have them premier one after another so that they can capitalize on live viewership! Thankfully there are multiple showings and many have DVR. :) Anyone know why they do it this way?? Lifetime finally announced. Just three new movies this year. Not a lot of details. But something just when I was beginning to suspect they had ceded it to Hallmark. Referencing my comment about about Lifetime's announcement ... After looking at it, only one is a new movie: Heaven Sent. The others are old, previously aired-on-other-networks. So, yeah, I guess Lifetime is getting out of the Christmas movie game ... Which makes me really sad. Thank you, SKP, for making sure I saw these hot off the press, new press releases! It is sad, I agree, to see & share Lifetime's Christmas programming this year. There's very little to get excited about. Incredible, huh? I wrote lots about it in my Lifetime post, here. I also added Rudolph and all the other CBS Christmas Specials above!!! Again, thanks so much! I'm glad to hear you feel the same about Lifetime. Net, HMM has changed their schedule. Not sure about Hallmark channel. Thought you might want to update here. Keep up the good work! Thank you Joyce for alerting me to these changes! I updated both networks this morning! There were several changes here & there - so I hope everyone will check back in for all the updated times! Fox's Thanksgving/Christmas press release release. Not a lot of new content, but they will air the Ice Age Christmas special. I caught that earlier and just added them, SKP! Thank you so much for sharing! You are so right - not much there to share, however. Found something kind of interesting this morning. Amazon Video is releasing two original animated Christmas specials this season: The Snowy Day, based on the beloved picture book, and Give a Mouse a Christmas Cookie, also based on the book series. Both looks really charming and will premiere on Amazon Prime Video for streaming Nov. 25. Hallmark Movies get worse every year. They should play more of the old ones. Good or bad, I enjoy at least watching them all. I appreciate Hallmark's effort.